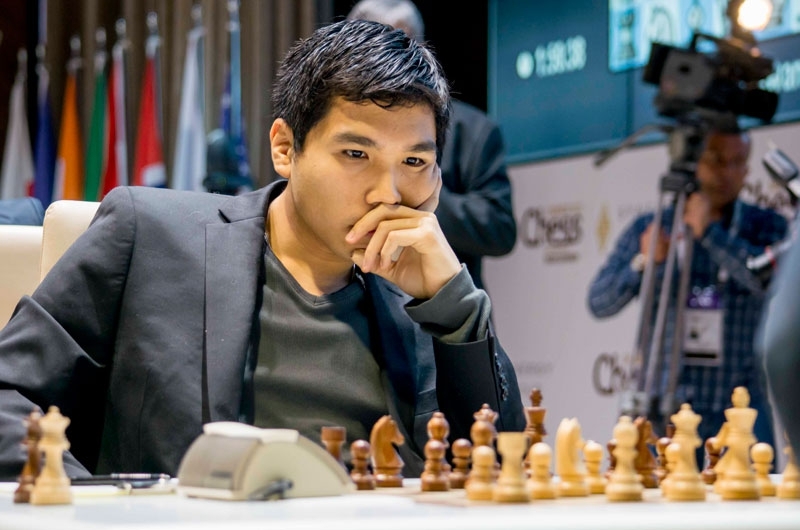 LAS VEGAS – The lack of advice on strategic planning is starting to show in Wesley So’s ascent on the world’s chess ladder. Although he has achieved impressive results in his last tournaments, including the tough Gashimov Memorial chess championships in Shamkir, Azerbaijan, in which he finished only behind the reigning world champion and former world champion, his lack of foresight is starting to show. It is a big puzzle to many who are following his career why he intentionally, it seems, to miss out on a high-profile tournament with rich prizes for a one-on-one series with a relatively unknown grandmaster. While the best in the world, including Magnus Carlsen and Vishy Anand, will be on stage in the $1-million plus ” Grand Chess Tour,” the 21-year-old So will not be there. All because he chose to play a four-game series against a player rated No. 15th in the world. “Because of prior commitments to a four-game match with David Navara plus simultaneous exhibitions in the middle of the match, he (So) now has a scheduling conflict with Norway Chess,” said Eliseo Tumbaga, admin of Chess News & Views, a Facebook page. David Navara plays a four-game series with Wesley So. Tumbaga denies he is So’s spokesman, but he seems to have a direct line to the Bacoor, Cavite native and disseminates information, such as So’s schedule through his Facebook page. The series with Navara, scheduled for June, means So will miss the Norway Chess and the London Chess Classic, although Tumbaga said So will play in the second leg of the tour, the Sinquefield Cup. Tumbaga said in a recent posting that So was picked as a “wild card” by the Saint Louis organizers. Each leg of the tour may pick a 10th player to join the other nine permanent participants. Also competing are Levon Aronian ( Armenia), Anish Giri (Netherlands), Hikaru Nakamura (USA) and Maxime Vachier-Lagrave (France). For So, the lack of advice is apparent because missing out on some of the world’s most prestigious chess tournaments should not have arisen in the first place. If So had a grandmaster-coach or second with his ears on the ground, he would have known about this super tournament and adjust his schedule accordingly. It would have been foolish to commit to a minor four-game series when the big one was just around the corner. As early as January, word was going around chess circles about a planned super circuit with huge prizes. Grandmaster VeselinTopalov inadvertently leaked the rumor about this rich circuit that will feature the world’s top players, privately organized, but sanctioned by the international chess federation, or FIDE. “…It still remains puzzling that Wesley would turn down three lucrative and high profile events simply because Norway Chess (15-26 June) overlaps with an exhibition match against David Navara in Prague (June 12-16),” 24chess.com wrote. “The intrigue was upped by the Grand Chess Tour press conference not naming the ninth player, although the website launched the same day already included a biography of Maxime Vachier-Lagrave.” it added. 24chess.com added a sense of intrigue by insinuating that So may not have been invited in the first place. A coach knowledgeable about the ways of the chess world, including its politics, would have been able to navigate the waters for So. The late Florencio Campomanes made life easier for grandmaster Eugene Torre, and even world champion Anatoly Karpov, in the 70s. Practically each of the top grandmasters have a coach or second to help them prepare for games and tournaments. There is a so-called Team Wesley, but there is no coach or second. The convenient excuse is that such help is expensive and at this time in his career So can not afford it. But coaches or seconds maybe paid by percentage or share of the prize money, appearance fees, or endorsements. They all add up. 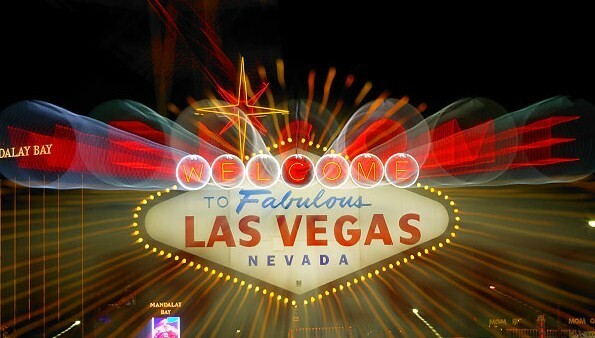 Travel and hotel accommodations are usually paid for by tournament organizers as members of the player’s entourage. Carlsen even has his father and a chef as members of his entourage. Quite a few Filipino grandmasters, based in the United States, Manila or elsewhere, would be willing to serve as So’s seconds, and he could pick a retired or semi-retired former top player as coach. Unless there are other reasons preventing him from adding someone with unlimited access to him, this is perhaps the best time So can get to help clear the path to the top of the chess world. Hi Bert. Wesley communicated with the organizers of Norway Chess in the last quarter of 2014 because he was interested in playing at Stavanger. But the Norway organizers did not give any response. In the meantime, there was an offer to play a match with David Navara. And the conditions were quite good, a better deal than the one offered for the Capablanca Memorial (where So would have been the defending champion), which also had a scheduling conflict with the Prague event. The logistics of the match with Navara were also good because Wesley would be playing in the French League from May 30 to June 9 and he could just swing over to Prague for the match with Navara scheduled June 12-16 before heading home to Minnesota. After the match with Navara, Wesley would have two weeks to prepare for the next big event, Dortmund Sparkassen in Germany, where Fabiano Caruana will be the defending champion and with Vladimir Kramnik as another world-class competitor. It’s erroneous to assume that there was no strategic planning in working out Wesley’s playing schedule. The fact is, the Grand Chess Tour was just a concept at the time Wesley and Navara signed the contract in January when both were in Wijk aan Zee for Tata Steel. And playing with Navara is also a good event. He is #14 in the world, and Wesley needs more match experience as part of his long-term preparation for a future challenge to Magnus Carlsen. There’s a lot of thinking and planning in working out Wesley’s schedule. As he is the newest chess professional among the world’s top ten, 2015 is a transition year for him and he has to honor previous commitments which, btw, are all covered by signed contracts. Only those who are ignorant of the basic facts cited here would assume that there’s a lack of strategic planning. Wesley is aware of many prospects and possibilities in the chess world, including potential scheduling conflicts, but he has to make decisions based on actionable facts. The fact that he will play at the Sinquefield Cup is also a good outcome for him because will get another opportunity to play with the best in the world. You’re right Eliseo. 🙂 I agree with you. Patience is a genius. 🙂 Wesley should be nominated to the Candidates match to have a shot to challenge Magnus Carlsen 🙂 Wesley needs to develop playing with black where he struggled in Shamkir. Your points are well taken, Eli, but it would be arrogant to be all-knowing and assume everyone else is ignorant, when one simply points out that it may have been a lack of foresight to miss out on the Grand Chess Tour, perhaps the biggest stage in chess in 2015, all because of a one-on-one series with a player rated No. 15 in the world. It will not help in the drive to the world’s chess elite for a No.7-ranked player to play with someone much lower in rating, simply for the “experience” or “long-term preparations.” Sure, it may be convenient with some tournaments close by – and the money is not bad, either. I understand that contracts must be fulfilled and commitments have to be honored, otherwise one loses credibility which is a kiss of death in a sport that puts premium on honesty, professionalism and sportsmanship. But precisely because of these considerations that there should not be a rush to accept tournament schedules that may jeopardize the better opportunities just around the corner. You say there a lot of “thinking and planning in working out Wesley’s schedule.” Wesley is a smart young man who makes great moves on- and-off the chess board, but does he have any advice at all? Who provides him with chess advice, if any? Who are involved in this “thinking and planning?” Not, necessarily names, but perhaps titles, like coach, personal adviser, etc. The lack of strategic advice became an issue in the first place because of his fans’ concern that he may not be getting the best advice from chess savvy folks he trusts, nothing less, nothing more. People are interested because they care. No one has a monopoly of concern for Wesley’s career because his success, means by transference, a success of the chess-loving Filipinos, despite his decision to switch to another federation and play under another flag. tsk tsk tsk…. no.14 in the world ranking! Hey, wesley was almost at the same position a few months ago. How many rating points seperates them? Do you know your chess? Btw, the world chess championship can only be won via match format. Navarra havent loss in such format in Prague… the guy is a supergm! For patzers sake! Know ur chess! What’s the relevance of knowing how many ratings points separate So from Navara? So is No.7 and Navara is No. 15 in world ranking. When you’re higher ranked, you lose rating points, not gain them, when you play lower-ranked opponents. At the very least, it a puzzle that so will commit to this four-game match and jeopardize the prestigious Norway Chess tournament – and in effect, at least one of the other stops in the Grand Chess tour. I know Eli has answered this ad nauseum, but still the puzzle remains. At least give us the prerogative to wonder. “Chess advice”? hmmmmm i thought fritz, komodo, rbyka or houdini with chessbase can do the job. Seconds? there are lots of things to consider in getting one…. loyalty is one of them. Preparation can be leaked… ask Kaspy, or better yet, Bareev, …. one reason why Fischer doesnt have one. Wesley was not obliged to play in the Grand Chess Tour. Vladimir Kramnik was also invited but he declined because, he said, his schedule was too heavy already and he wanted to focus on the World Cup. Every player has his own priorities. As things stand, not playing at Norway Chess gives Wesley a better playing schedule because he will get 10 days’ rest before his next event, Dortmund Sparkassen in Germany. If Wesley has to play at Norway Chess, he won’t get any rest day because Norway ends on June 26 while Dortmund begins on June 27 and he would have to travel from Stavanger to Dortmund. Dortmund is also a strong event, with Fabiano Caruana as defending champion and Vladimir Kramnik and two other 2700+ also playing. The key point to remember is, it is Wesley’s decision which events he wants. It’s not up to kibitzers to make the decision for him. He is an intelligent young man who makes his own decisions and I believe his prerogative to choose his events should be respected by everyone. If you know your chess (besides grammar), John Manahan, you will know there’s a lot of difference playing against a lower-ranked player as against a high-ranked player in terms of acquiring rating points. you try to show off your deep knowledge by mouthing those chess engines, do you know that a live second or coach still trumps a computer in terms of preparations and evaluating an opponent’s tendencies? You cited Kasparov and Fischer as examples, last time I checked, Fischer is still dead and Kasparov is relatively inactive, except for the recent series with Nigel Short. They won’t need the services of seconds very much. Trouble with show-offs, they just flaunt their ignorance. tsk tsk tsk if every chess player will adapt your logic about chess rating, then those ranked higher than So should not play him! It would be detrimental on their chess standing! That’s why John Manahan, it’s more advisable to compete in a tournament where high-rated players are participating than in one-on-one matches, especially against a lower-rated opponent. To insist that a series with Navara is superior to the $1-million plus Grand Chess Tour is grossly ignorant even if Mr. Tumbaga sings the praises for the one-on-one match with the Czech grandmaster. There is no way discussing this with you…. you dont know your chess, even its history. If everyone will abide per your standard, chess would be dead by now. Eliseo have explained valid reasons and yet you still insist of higher rated opponents for wes via this and those tourneys, neglecting the fact eliseo just stated. And Mister John Manahan, I covered chess as a journalist perhaps longer than you’ve been on this earth, so I know a little bit about the game – and what I’m talking about. If strong players were supposed to play only against higher-rated opponents, then Magnus Carlsen should not be playing at all, whether in matches or tournaments. Obviously, this is a ridiculous proposition. Matches and tournaments happen in spite of the fact that some players are rated higher while others are rated lower. Obviously Wesley is getting halfbaked advices in the management of his chess career if any…its public knowledge he has no coach and seconds…his frequent companion as can be gleaned from his photographs is a chaperon in the person of a former filipina actress, a mistress of a comedian long gone….he is evidently getting lessons from various passages in the bible (this woman is now a novelist and Vice-president of the Minnesota Christian Writers Guild, a passionate storyteller. Her work focuses on the mystery of God, and His incomprehensible love for the unattractive, wayward parts, of His otherwise perfect, creation. )…but no expert advise in planning and managing an effective tournament itinerary. This woman hardly knows chess…his previous coach, Susan Polgar will give his new foster mother the odds of queen and two rooks and still wins the game below 20 moves. Thus, explains the horrific blunder in missing the grand chess tourney where he stands to earn a hefty share of the million of cash prizes up for grabs…he now enters into a match which has no bearing on his objective of reaching the 2800 elo mark. If Wesley wins all 4 games, he will get +18.4 points, which means he will be 2796.4, less than 4 points away from 2800. Obviously, the match has bearing. And it’s good match training for Wesley. The World Cup is match play. The world championship is match play. i think no panic on Wesley – Navara match. Wesley rank#7 @ 2778 while Navara rank #14 @2751. Only 27 rating pts separates them. A win by Wesley is +4.6, draw -0.4 while a loss -5.4. You said Wesley prefers not to join Norway chess to give him the leeway of time to prepare for his next event- i.e. Dortmund? Well, Fabiano is playing in both events…he doesn’t mind the short interval between them. Each of the three 2015 Grand Chess Tour events will award individual prize funds of $300,000, with competitors also tallying points toward a tour prize fund of $150,000; the overall tour champion will receive an additional $75,000. The total prize fund for the circuit is $1,050,000. The opportunity for a nice respite pales in comparison to the chance to earn pecuniary reward of tremendous proportion. Choosing the former over the latter is a flawed business decision any way you look at it. There is no excuse for this gross oversight. An effective events planner for Wesley would have avoided this unpalatable turn of events…unfortunately there is not…or if there is, he or she is obviously not up to the task- plain and simple. For instance, Susan polgar would have enough presence of mind not to prematurely commit to a match invitation which offers little in return. She would be already aware of the plan for the grand tourney at the earliest instance and would have done all without her means and power to .secure the invitation…but not this one- Wesley sent a child to do a man’s job. Wesley would have played in Norway Chess if his schedule allowed it. In the last quarter of 2014, he communicated with the organizers of Norway Chess about playing at Stavanger because he was interested in playing there, mainly because it was an opportunity to play Magnus Carlsen. He did not get a response from the Norway Chess organizers. In the meantime, there was an offer from organizers in Prague. When Wesley and Navara signed their contract last January, while they were in Wijk aan Zee, the Grand Chess Tour was just a concept and there was no indication at all that something like it would ever materialize. The first leak about the tour came out in February but even then, it was not a foregone conclusion that it would push true… Wesley could not possibly anticipate every scenario that may or may materialize in the future. He had to act based on actionable facts. Having signed a contract, he has to honor it. That is part of being a chess professional. In any case, Wesley will play in the second leg of the tour, as a wild card at the Sinquefield Cup… Every player has his own priorities. If Caruana wants to play everyday, that is his own lookout. Ivanchuk plays more than 200 tournament games every year. Vladimir Kramnik was also invited to the Grand Chess Tour but he declined the invitation because, he said, he already had a heavy schedule and adding three more events would mean that he wouldn’t be able to see his family. And he didn’t want an event very close to the World Cup because he needs more time to rest and prepare for it… All this Monday-morning quarterbacking about Wesley’s playing schedule is coming from kibitzers who do not know anything about his reasons, and their so-called “expert opinions” are coming after the fact, not at the time when they would have been useful inputs to decision-making by anyone. As we know already, everyone is an expert after events have already happened… For the record, Wesley’s future events include Dortmund Sparkassen in Germany, Sinquefield Cup in Saint Louis, World Cup in Baku, and Millionaire Chess Open in Las Vegas. He has already committed to play for Tata Steel 2016. People who claim to be experts in “strategic planning” are welcome to give their suggestions now, but not after the fact when their “advice” is useless. its all under the bridge now…we’re crying over spilled milk. Let this be a lesson to all with the hope that Wesley’s itinerary will be made with a cautious approach from hereon…. Let this me a learning experience for Wesley and his new team. Wesley would always view his losses in this light. Why would the Capablance Memorial be not a better option than the Navarra match? This boggles my mind. Please explain. Obviously, you don’t know the reasons why Wesley So chose to play a 4-game match with David Navara instead of defending his title at the Capablanca Memorial. I have written about this in other places but I will repeat what I have written because, obviously, you are not aware of many discussions about this matter. But, in fairness, there are people who still don’t believe that playing with Navara was a good option for So, even after these reasons have been discussed. Some people actually believe that they know better than Wesley himself what is good for his career as a chess professional. Some kibitzers are even posing as experts, as if they know anything about strategic planning or Wesley’s game plan to be the best in the world. And so, here are the reasons by playing Navara is better than returning to the Capablanca Memorial… 1. The financial conditions for the match with Navara are better than the offer from the Capablanca Memorial… 2. The logistics of the match with Navara are much better. So will play team chess in the French League from May 30 to June 9 and it’s just more convenient to proceed from France to Prague, Czech Republic, for the Navara match, which will begin on June 12… 3. On the other hand, travelling to Cuba is more complicated. Wesley is a permanent resident of the United States. There are many restrictions and constraints in travelling between the two countries because they have not normalized their diplomatic relations. For one thing, there is no direct flight between the two countries. Anyone who needs to travel from the US to Cuba and vice versa will have to pass through another country to complete the trip. This makes travel to Cuba very inconvenient, more time-consuming, and more expensive. Also, permanent residents of the US who travel to Cuba are subject to certain restrictions that may complicate their immigration status. Wesley doesn’t need any more complications in his legal status as a permanent resident of the US… 4. Playing Navara will give Wesley more match experience. This will help him in his quest to be a future challenger for the world championship. The World Cup, one route to the Candidates Tournament, uses the match-play format and it is a knockout event. Anyone who loses a match is out of the running. The world championship is also decided via match play. So does not have much experience in match play. 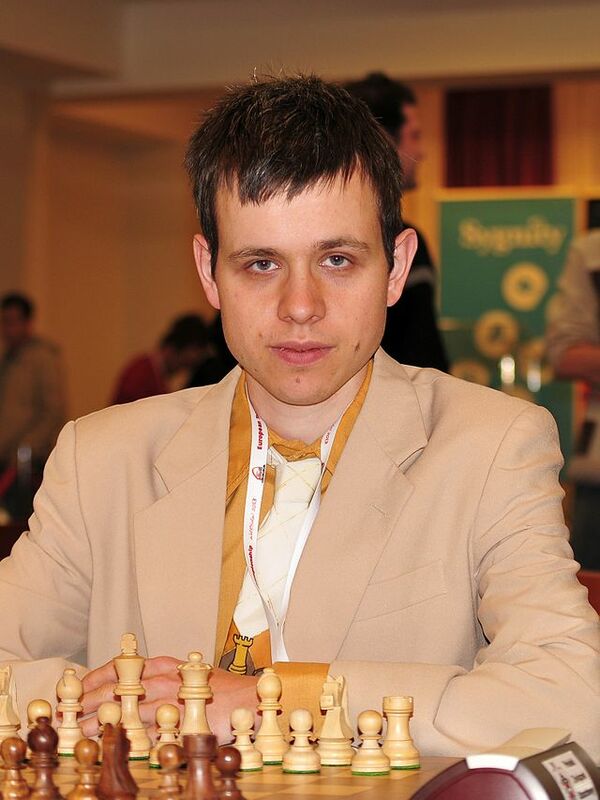 Playing a match with Navara will prepare him better for his campaign to be world champion… 5. Some people have said that the match has no bearing on So’s standing as an elite player. This is simply not true. If Wesley wins all his games, he will gain 18.4 rating points. Which means that he can go up to 2796.4 in the rating lists, less than four points from 2800. This will be an important breakthrough in his career as a chess professional, one that will give him an even higher profile in the world of professional chess … I hope these will be sufficient to understand why the match with Navara is a better option than returning to Cuba. The Capablanca memorial is more prestigious than the Navarra match . It’s an annual event and in memory and honor of a chess legend (i.e. Capablanca) that Navarra will never be. It’s an annual event with a rich tradition. Wesley scrapping it will surely leave a bud taste in the bud of Cuban organizers. Wesley has just signed the death sentence of the probability of his being invited in next edition/s of the event. Again, lack of foresight on the part of Wesley’s event planner. He thinks of short term financial benefits when he should have evaluated its long term repercussions instead. Another sure event for Wesley gone to waste. I believe Wesley So knows what he wants for his own future. His own decisions should be respected by everyone. Those who pretend to know better can perhaps give positive suggestions instead of criticizing what is already a fact that can no longer be undone. Woulda, coulda, shoulda belong in the vocabulary of Monday-morning quarterbacks, but these are not very helpful in producing a better game plan. Advice should be timely and forward-looking, not a search for someone to blame when the kibitzer does not like what he sees. I don’t know why, but my wild guess is the reward in the Navarra match is more tempting than in the Capablanca Memorial. Anyway, the match against Navarra will be a good experience for Wesley in honing his skill against 27++ player. Hoping he can secure a match against Vishy Anand also, or maybe against Kasparov. You are right, Ricardo Villanueva. The financial conditions for the match with Navara are better. And playing with Navara will also give Wesley So more match experience, which will be necessary to overcome his relative lack of experience in match play. The World Cup, which is one route to the Candidates Tournament that will determine the challenger for the world championship, is match play. The world championship itself is decided by match play. So needs assistance in climb to the top of the chess world…. who’s planning Wesley’s itinerary anyway? Does he get any advice? Is he seeking any advice? Only only one thing is clear. He is not making the right choices…he needs the help of a PSC registered medical practitioner – i.e. not a quack doctor. When you say “PSC,” are you referring to the Philippine Sports Commission? the first letter stands for professional. A chess professional should be the one handling WEsley’s chess affairs including planning his schedule. A chess professional means a titled player…one who can wiggle out the intricacies and maze of the chess world including the politics thereof. Someone who has been around…one with connections with the power players who could broker a deal to remedy a plight…or one with astute perception to avoid one. Can you give the names of people who might be qualified for the job that you mentioned? I believe Wesley should concentrate playing chess. He should hire a true chess professional to handle other important chess affairs and not a nanny who is more into religion and novel writing. Please give the names of people who might be qualified for the job that you mentioned. Your nomination will be much appreciated. GM Seirawan is qualified. However, he has too many commitments already. He is currently a resident GM at the Chess Club and Scholastic Center of Saint Louis and he is much in demand as a commentator for major events. Oh no! Not only is he not qualified professionally but Wesley doesn’t like him at all. He is basically a seaman. No offense meant to all the seamen out there, but Norlito cannot be considered as a candidate. He is neither a GM nor a well-connected person in the world of chess. A couple of things I want to clarify with Mr. Eliseo Tumbaga, You said you’re not a spokesman for Wesley So, what are you then in relation to his career? You speak with an insider’s authority, that you said is the result of your “hard work” and asking the right question and making Wesley your beat. If you don’t speak for him, do you write for a newspaper as a reporter or columnist like the rest of us? Do you have a blog, or you’re simply an admin for a Facebook group that are a dime a dozen? You slipped in a phrase that Wesley is a Filipino-American, and just now, that he’s a permanent resident in the U.S. and one reason in going back was making travel arrangements for his trip to Europe. What passport does he use to travel? If he’s just a permanent resident and not a U.S. citizen, he can not travel with a U.S. passport. If he’s still Filipino and carries a Philippine passport, why would the lack of diplomatic relations between the U.S. and Cuba be a problem for the Capablanca Memorial tournament. You inundate us with too much information that often don’t mean anything, except to pretend you know more than anyone else about “stuff.” Notice I answered you here, my blog, not the Chess Philippines site, which you trash, depending on your mood. In his eagerness to show off and put down others, Eli Tumbaga sometimes chose not to comprehend simple English. Never did I insinuate that high-rated player should not play those below their ranking. His example of Magnus Carlsen not taking on lower-ranked opponents in tournaments is laughable. What I said was a high-ranked player is unlikely to seek out a lower-rated player in a one-on-one series,like So did with Navara. Carlsen will not seek out Wesley in a one-on-one match even if the money is right or unless it’s a FIDE- mandated series. He has nothing to gain, unless the advice came from a baby-sitter. To insist that the series with Navara is the best for Wesley, bar none, is what is ridiculous.